It’s not that I’m not a risk taker— after all, I’m a 46-year-old bicycle racer, and I left a career I worked so hard to build after 22 years to move into the health and wellness space. Although nowadays, when it comes to what I eat, I tend to play it safe. 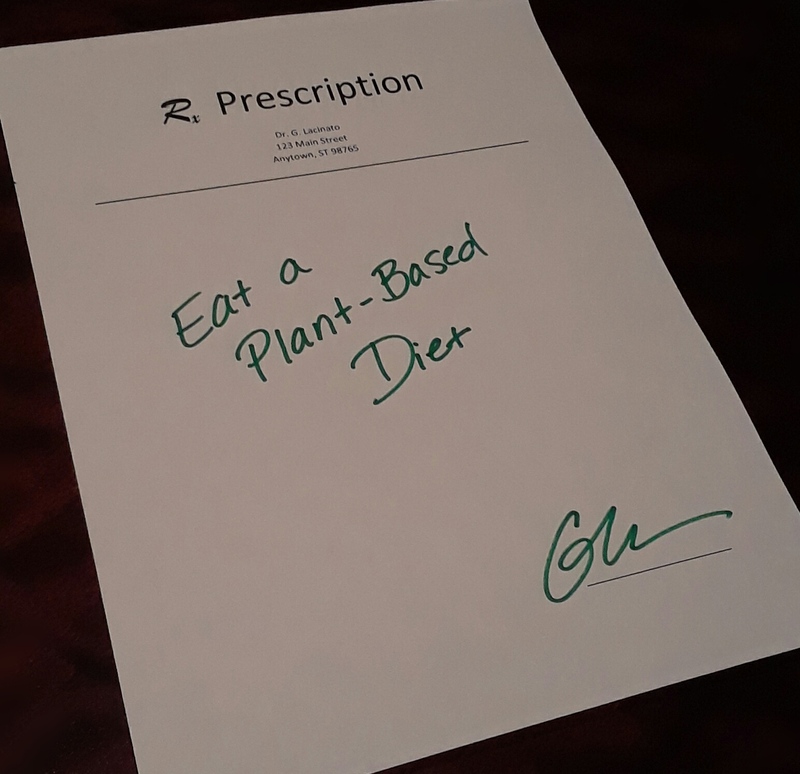 Shortly after my 41st birthday, I adopted a whole food plant-based vegan diet. Specifically, a dietary pattern made up of foods that have minimal or no processing, derived entirely from plants (devoid of all animal products). After a doctor tried to put me on a cholesterol-lowering statin in my mid-30s, I declined his offer because I knew I wasn’t taking care of myself. After a few years of trying to eat a “healthy” diet of chicken breasts, fish, low-fat yogurt and the like, my cholesterol “improved” from being bad to being borderline bad, but still not good. It wasn’t until I transitioned to a completely whole food, plant-based diet that my numbers noticeably improve. Not only did I reduce my risk of disease, but I also felt immeasurably healthier, having more energy and mental clarity, as well as a mysterious spiritual connectedness. My own personal experience was the launching pad for my move out of my previous career and into the realm of health and wellness. Now I’m a licensed nutritionist, I have a master’s degree in Nutrition Sciences from the University of Alabama at Birmingham, and I’m a certified personal trainer through the National Academy of Sports Medicine. Over the past three years, I’ve dug deep into the literature to better understand the role nutrition plays in chronic-disease risk, and the evidence is overwhelmingly in favor of a whole food, plant-based dietary pattern. No credible health expert is arguing that eating more vegetables and fruits is bad for you. Instead, the debate is about how much meat and other animal products one can consume before it becomes harmful. Many studies provide valuable insights into the correlations between diet and disease, and below are two worth mentioning. The Adventist Health Study 2: In an observational study published in 2009, researchers looked at four years of data from the Adventist Health Study 2 population comprising 22,434 men and 38,469 women. Different degrees of vegetarian diets were reviewed and further analyzed: vegan (consuming no animal products); lacto-ovo vegetarians (consuming eggs and dairy); pesco-vegetarians (consuming fish); semi-vegetarians (occasionally consuming animal products); and non-vegetarians (consuming typical quantities of animal products). Vegans were the only group with a normal body mass index (BMI), which is a measure of weight relative to height, where 25kg/m2 is considered overweight. The vegan group also had a 62% reduction in the prevalence of type 2 diabetes compared to non-vegetarians. The study results suggest a positive association between BMI and the prevalence of type 2 diabetes, corresponding also to an increase in consumption of animal products. The BROAD Study: In a randomized, controlled trial published in 2017, researchers looked at the effect of a whole food plant-based diet on BMI and various metabolic markers for heart disease for a population in New Zealand who suffered from excessive weight or obesity and who had been diagnosed with type 2 diabetes, heart disease, hypertension or dyslipidemia. The intervention group was instructed to follow a low-fat, plant-based diet that included whole grains, legumes, vegetables and fruits. They were also instructed to avoid refined oils (e.g., olive oil, canola oil, coconut oil) and animal products. Meanwhile, the participants in the control group received “standard medical care,” which included animal products. Based on the data from 65 participants (33 in the intervention group and 32 in the control group), the intervention group exhibited statistically significant reductions in weight, BMI, LDL (“bad”) cholesterol and waist circumference. There are several other studies, both observational (epidemiological) and experimental (randomized controlled trials), that have similar findings as the two examples provided above. Bottom line, the evidence supports that a dietary pattern made up of whole plant foods appears to do the best job at reducing markers associated with chronic-disease risk.